Let’s make it clear. We are not alpine climbers. 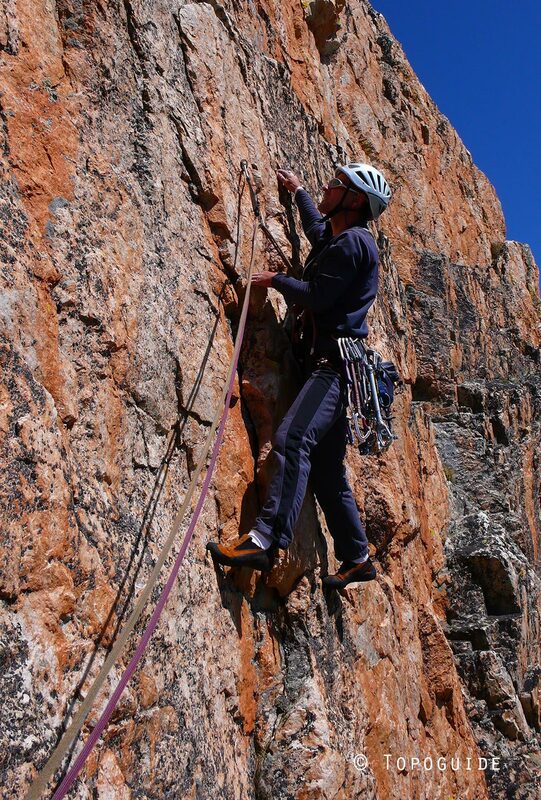 We sport climb the whole world on single pitches, often two and sometimes six. 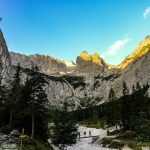 So it came to me as a pleasant surprise when Nicole asked me to write a recension on her guide book – The Topoguide, which is a Guide book for alpine routes in the European Alps. Since I have coauthored a climbing guidebook myself in the past, I took on the invite for a closer look. Nicole Luzar and Volker Roth are both the authors to this Guidebook. 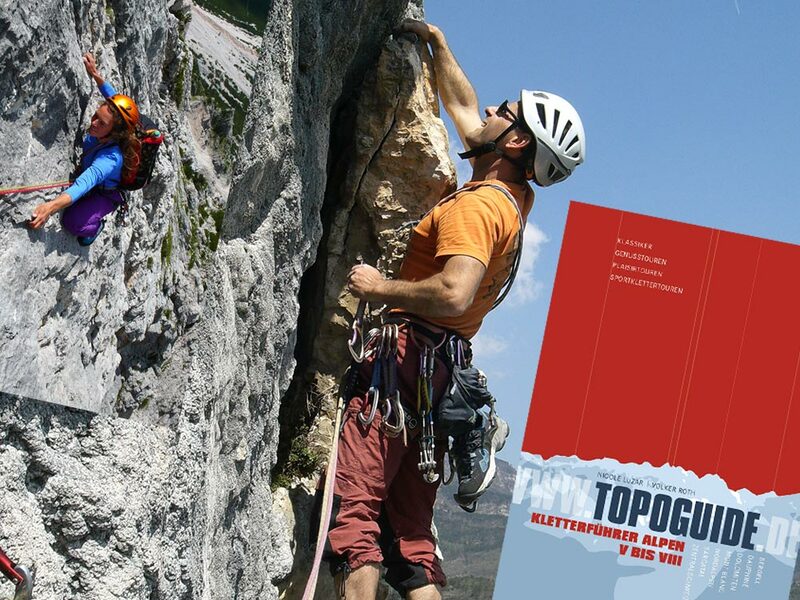 The Topoguide in german describes routes they have personally climbed and experienced throughout the years. Before the first volume came out, all their memoirs were summed on pieces of paper. Curios to know what makes these 2 tick, and whats behind this really huge Guidebook, I took instead a visual interview with them, so you could make out a better big picture. The Topoguide book is at the moment available as a hard cover. It weighs about 1300 g and is too heavy to bring or carry along in any back pack. It would be difficult to remember all the information given, during the day of activity. How should your users use this book? What should the reader expect (from the content) when he buys a copy? Well, I think it’s quite common to make a photocopy of almost any guidebook, so that’s what we’d recommend our users to do. Smartphone-photo work well but a print copy as a back-up is certainly a good idea in case the smart phone battery suddenly gives up.Concerning the content, we are convinced that our guidebook is something out of the common. First of all, we climbed all – really all – routes ourselves. That is, a few of them Nicole climbed with another partner, and Volker did most of the Chamonix routes and some other hard ones with different partners, but the vast majority we climbed together. We did not collect descriptions from various sources, so you can expect consistency and first-hand information. The Topoguide covers areas from the Dauphiné in southern France to the Dolomites in the 1st and 2nd volume. I heard that you are working on the 3rd volume. Which areas will be coming up? And when will it be available? Volume 3 will probably be published at the beginning of 2015. All three volumes cover more or less the same areas and contain completely different routes, so they perfectly complement each other. Of course, we can’t and don’t want to cover any area completely! Quite to the contrary we try to select the most beautiful routes with good quality rock and solid protectibility. Because most climbers don’t have loads of time when they are on holidays and want to enjoy a nice climb successfully instead of struggling through some kind of unexpected adventure. A picture can say more than 1000 words. Pampered by the topos of today’s sports climbing guide books, which describe the routes with a photo of the crag, will your users in future enjoy this comfort in the new guide-book, too? That’s a question many people ask us. And we could already convince some of them that a photo with the route marked in it, is often a less-than-optimal solution. We prefer to put a photo and topo separately. 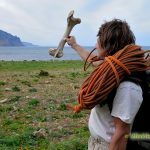 Let us explain the reasons:First of all, have you ever tried to find your way in the middle of a trad climb with nothing but a photo? No explanation like “go left now”, “big flake”, “lose rock” or so? Just a line which is – most importantly – often distorted: not only is it impossible to show flat sections where you just continue straight, also the higher the mountain is, the more the upper part is distorted and seems shorter. And the line is often drawn in such a way that you can hardly see the important structures any more and can’t decide whether it’s a pillar, a big crack or a corner. We can perfectly put all important structures in our topos. And add tons of verbal information.Let’s make it clear: Such photo guidebooks are great for sports climbing, and they may be okay for sports climbing multi-pitch routes, too, but even there it can be hard to find the start without additional information. Furthermore, we draw our topos at belay station. If we’d draw it afterwards (or try to draw a line – a precise, reliable line, of course – in a photo) we’d have probably forgotten things like whether you had to cross right in the fourth or fifth pitch. Whether there was a pillar to the left or another one on the right. So: chances are “good” that such a photo-line is even mistaken.Last but not least you need a brilliant photo taken from the right angle so you can mark the route in it. But usually you don’t approach the route from that angle and a climber never get to see the mountain from that side! So where is the advantage for the user? By the way, you can only shoot good photos if you live in the area or get back to the same area many times, but we usually climb any route just once and can’t spend hours on taking photos. We simply chose a different concept.If you want to read more about why and when we started to draw our own topos and how we do it, we already summed it up in a detailed article (in German). I missed an overview map of the areas introduced in each country. At the same time it wasn’t easy to distinguish in which country or part of the Alps the area described is found unless you are familiar with these places. How important is usability of the guidebook to you? Usability is extremely important to us, and we aim to give all necessary information even for people who come to an area for the first time. It’s true, that in volume 1 we simply forgot to put an overview map. But this and many other information have already been added in volume 2. By the way, where it’s not easy to distinguish the route, we also added some sketches of the mountain – just like the photo plus line in it. There are times when I don’t understand how a route in a guidebook could be rated with no stars, when I thought it deserved full points. Perhaps it’s easier to describe the situation as when someone says “I love this weather” and spends the whole day out (It’s windy, raining and snowing simultaneously, you could almost call it a blizzard outside). The other person just hates it and shuns himself behind the door. Objectivity is golden and too much subjectivity can sometimes be misleading. How would you describe the style used in Topoguide? How do you both deal with this situation? Why? Well, of course we can’t claim perfect objectivity. For sure we choose our routes on a subjective basis, but afterwards we try to describe it objectively. For example, we don’t like slabs. So we don’t go slab climbing on purpose. 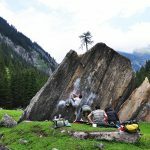 But if we come across a slab in a route we are quite able to distinguish between the fact that we’d prefer some good holds on steeper rock and the other – more important fact – that a fall would at least hurt. With scarce protection it might even be dangerous. That’s what many people usually mix: they like the less strenuous slabs because they don’t have the resistance for steeper stuff but they don’t realize the possible dangers. 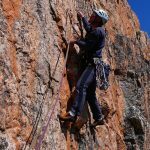 There are quite a few routes where we implicitly say that you have to like a special kind of climbing to enjoy the route.Anyhow, we’d say that 85% of the routes in volume 1 and 95% in volume 2 are really good. The five-star-routes are just excellent, but most of the four-star-ones are also extremely good. Maybe they are a bit too short for us to award them a fifth star, maybe there’s an ugly pitch. 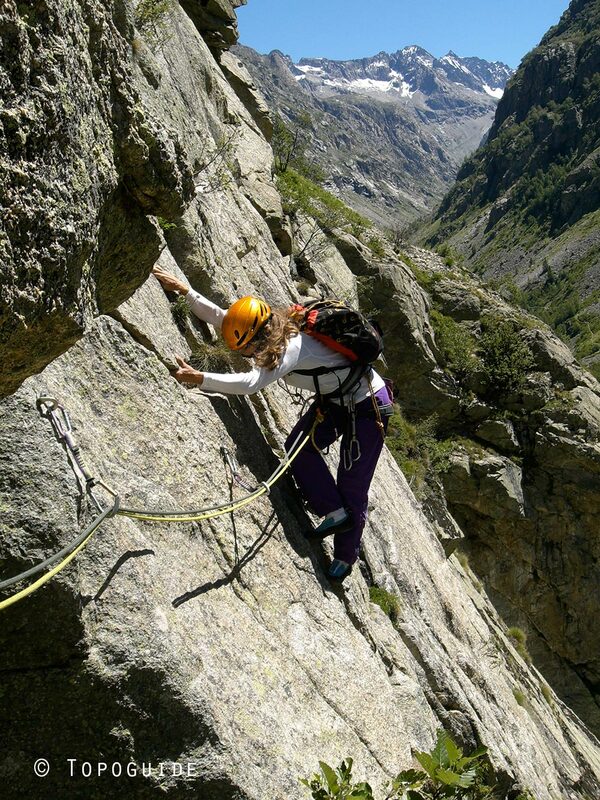 For us, long alpine routes are the king-lines! But even our three-star-routes are really worthwhile climbing! In every topo there is a footnote of when the Topo information was attained. This is great. However, some are dated from as far back as 1999. In this time, many things including the landscape and environment may have changed. How should your users deal with this situation? There are very few topos from 1999 or 2000, but of course, things can change over time. Sometimes even very quickly. That’s why we have created an “update page” for every volume here. Everyone is welcome to let us know any changes that may be interesting to other users, too! Just have a look there before you start your trip. As I said before, we draw the first version of our topos during the climb. Pitch by pitch. Right after the tour – i.e., after having wolfed down something to eat – we draw the topo a second time, add verbal information, have another look at the mountain itself or some photos specifically taken for that purpose to add some surrounding structures.Of course, technical gear may be fascinating, but it may fail. 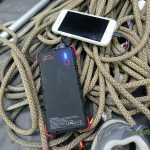 The battery may be empty midway through the climb, the smart phone or laptop might catch a virus and you can’t use the stuff anymore … and suddenly might be lost. 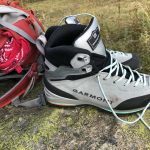 Whereas an old-school climber with a print topo and a good sense of orientation, feel for the logical line and sound experience will always find his way. That’s why we like to be independent of most of the technological progress when it comes to climbing. In the end we go to the mountains to enjoy nature, not technology. And nothing besides your own strength and experience can get you to the top. It’s better to rely on one’s own resources – and practice them.Nevertheless we also are convinced that technological devices will become more and more widespread in the future. Whether they will also be more useful for the climbers will remain to be seen. Now it’s your turn: the next generation can make it better or tailor the information to their own needs. 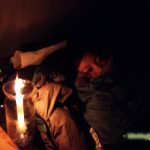 Do you support any climbing community by Charity means from the profit you attain through Topoguide? (laughs) Sorry, you might as well ask whether there’s some charitable community that supports us for our brilliant work. It seems to us that many people think that you can earn a big living from making guidebooks. Just try and see for yourself… Well, if you don’t go climbing all over the Alps but stay at your desk and on the internet, it’s easier, faster and cheaper. 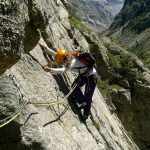 But do you really think there are thousands of climbers buying alpine guidebooks?Last but not least we put up some own routes during the last years, too, which – besides time and energy –costs quite a bit of money. These will be published in volume 3. The first time I heard of the both of you was when I first printed out the free Topo on MontSant years back. It described only routes that both of you climbed, but never consisted of the all the routes in the area. What inspired you to publish only an excerpt of this area in Spain?This sports climbing information on our web site is no guidebook! It’s not a publication and it’s absolutely for free. We just give some hints on the routes we climbed, how we liked them, whether they are steep, slabby or whatever. How could we include routes we don’t know in such a personal list? Most of the routes we choose according to our own preferences and fun. Some of the easier ones we climb mainly for the book. With the routes we opened (ground-up!) we also want to counteract potential criticism that we only profit from other people’s work. And, of course, we like to offer other climbers something nice! What do you both do for a living?I publish other sports books in my Sportwelt Verlag, Volker is a full-time climber. If I’m not mistaken, you live in the midst of Frankenjura, which has lots of sport climbing venues, but with almost no alpine routes. The Alps are about 3-4 hours drive away. Where are your favorite hangouts in the weekends? We don’t go to the Alps for a weekend. Gas and toll prices are much too high, now. So we usually pass the “regular” weekends in the Frankenjura and in turn some weekends in a row in the Dauphiné, in Switzerland or Italy. So you sport climb too? Since we happen to live in the middle of the Frankenjura, we are quite flexible to climb here even during the week, when the rocks are less crowded than at the weekend. 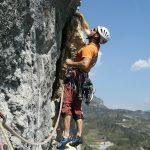 Volker has set up some routes, too, which are quite well protected and therefore have become very popular very soon. And you even knew the product of our winter trips to Spain (Montsant) before being aware of our alpine topos, didn’t you? By the way, we also give short overviews with our impression of the routes we climbed in other sports climbing areas throughout Europe, too. Just have a look at this site. There are so many routes available in Frankenjura. Is there still potential to bolt more? Which alpine destination would you recommend for the winter? What do you do in winter when it’s impossible to alpine climb there? 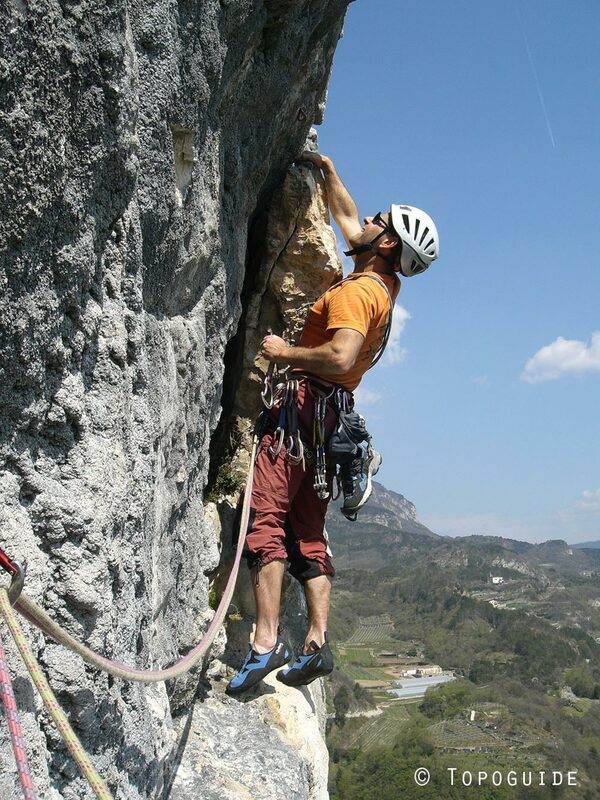 Sport climbing vs Alpine. Which discipline do you think is harder? Why? It depends. If you just climb a well-protected sports climbing route in France or Italy, it is often much better protected than many routes in Franken! No joke! 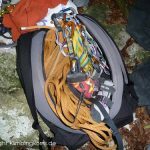 On the other hand, trad climbing in any grade, where you have to place reliable friends or other camming devices and depend on them can be much more difficult than sending a sports climbing project two grades harder. All the more since many young people have no experience at all with friends, tricams and the like. However, we know quite a few older climbers who feel very comfortable in an unequipped alpine 5c with loose rock but can’t do a 6b at the crag. You get better at what you do. If you always climb in perfectly equipped routes with solid rock, you can’t expect to feel at ease when you try a trad route for the first time. What’s your motto? Do you have a message for the climbers in this world? Climb now, work later! Enjoy life! And never be afraid to try something new. That’s our motto too! 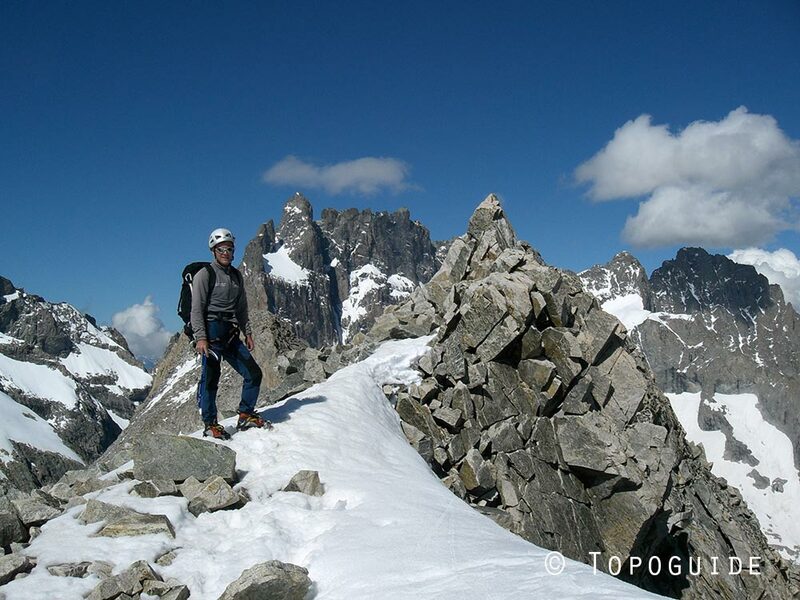 Thanks very much to Nicole and Volker for the interview and an insight to behind the scenes of The Topoguide Book, even though we didn’t get the big chance to meet personally. But looking at all the destinations they have been too, which we have also seen and experienced in sport climbing venues, we could have easily met! We look forward to the upcoming Volume 3. 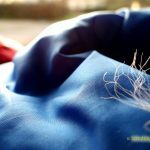 Erika from Ulligunde.com made a recension of the Topoguide Vol. 1 and can be found in german here.